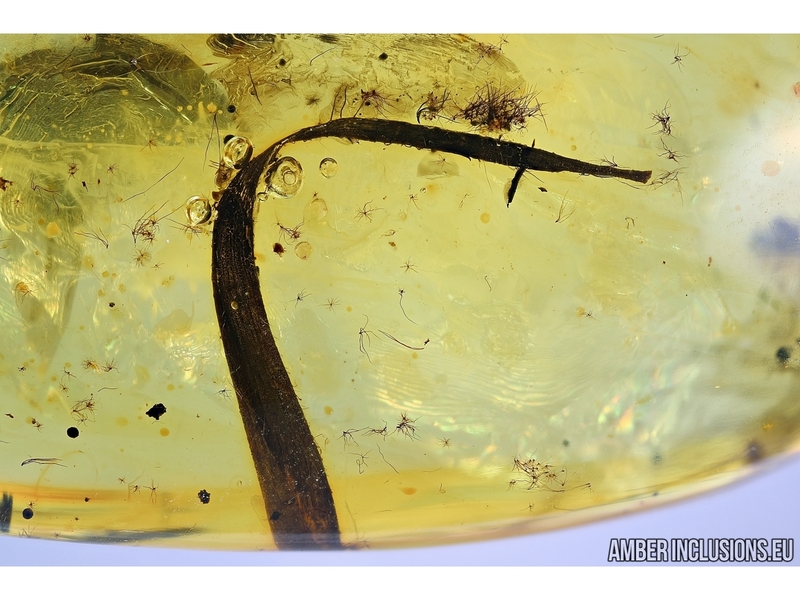 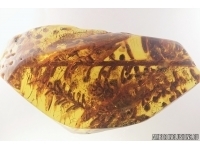 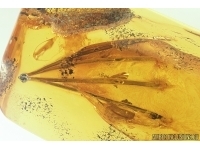 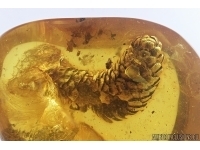 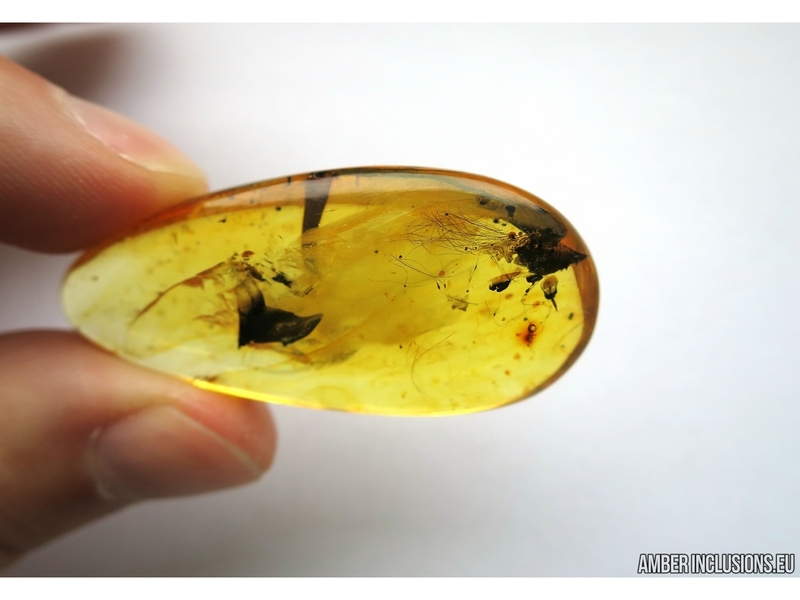 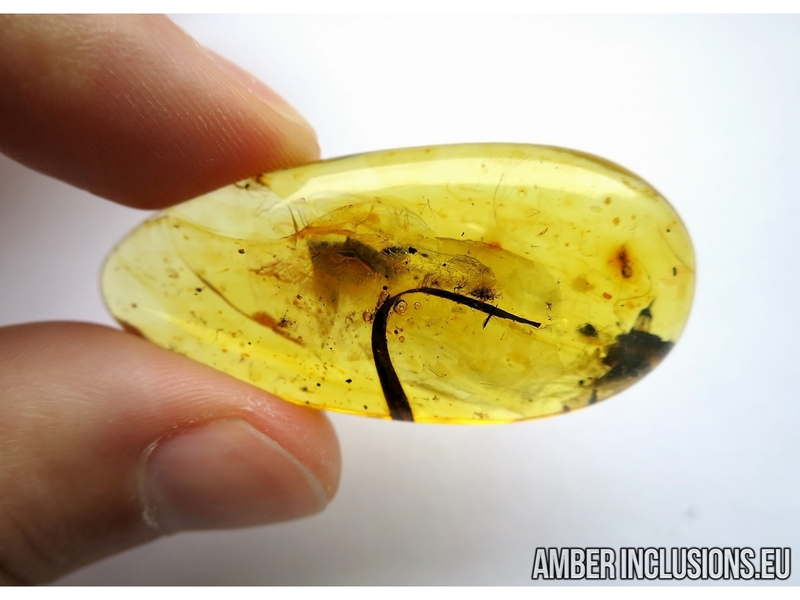 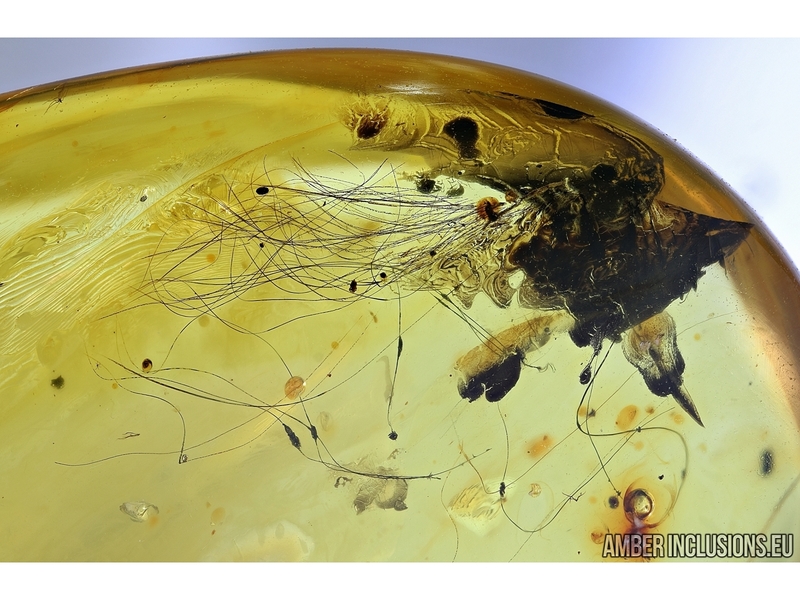 Baltic amber stone with inclusions -Mammalian hair and Leaf. 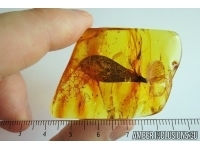 It weighs 6.2 grams. 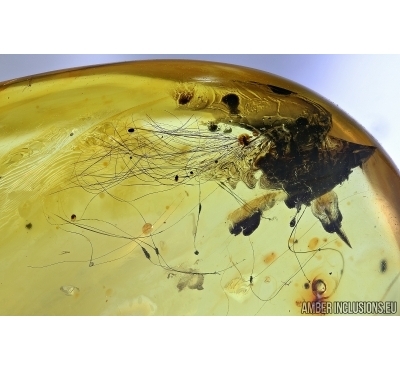 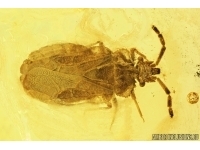 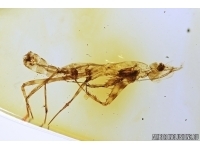 Measurements of stone 47x22x10mm, length of leaf ~14mm, mammalian hair ~18mm.